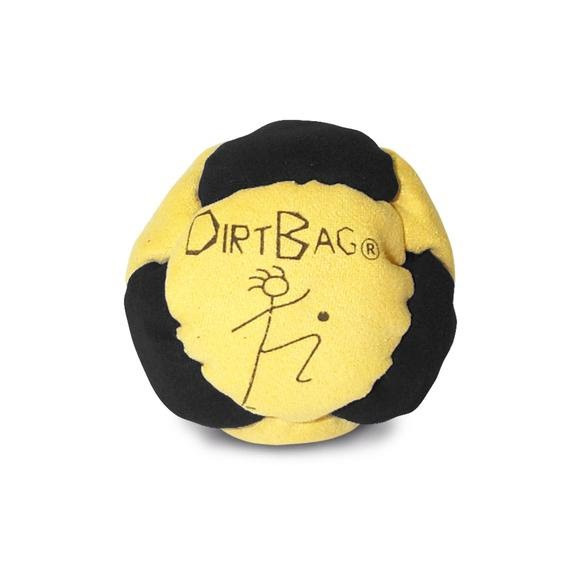 The Dirtbag® Classic footbag (hacky sack) is an eight-panel synthetic suede beauty filled with grains of sand from mother earth! Its softness, durability, and weight of the sand make it ideal for skoolin' all of your delays. Assorted colors, for specific color selections please call our customer service department at 1-800-800-5083. The Dirtbag® Classic footbag (hacky sack) is an eight-panel synthetic suede beauty filled with grains of sand from mother earth! Its softness, durability, and weight of the sand make it ideal for skoolin&apos; all of your delays. Assorted colors, for specific color selections please call our customer service department at 1-800-800-5083.